Take, for example, Southwestern Energy’s recent donations to Five-by-Five, a Bradford County-based nonprofit that supports homeless veterans by providing housing, education, and financial support. Since 2017, the energy company has donated nearly $10,000 to the program, and these dollars are making a very real impact on veterans’ lives. In fact, the most recent $3,000 donation helped one veteran become a first-time home owner in November, according to Five-by-Five. At Christmas, another group supporting our heroes received more help for its mission. 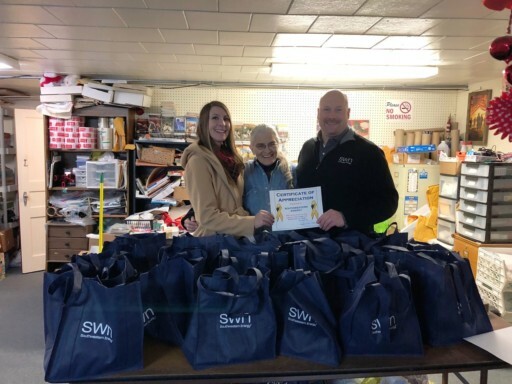 SWN partnered with the Tioga County nonprofit Goodies For Our Troops to ensure 30 Pennsylvanians serving on active duty would receive extra supplies and a message from home over the holiday season. SWN donated travel-size toiletries, snacks, hand warmers and other useful items and volunteers from the Tunkhannock office spent a day preparing the care packages. Additionally, SWN donated $2,000 to the charity earlier in 2018. “We appreciate the generous support of Southwestern Energy and know that our heroes will enjoy all the thoughtful gifts their employees delivered,” Dawn Pletcher, director of Goodies For Our Troops, said in the Wellsboro Gazette. The community investments extend beyond supporting our troops, as evidenced by a generous donation to Susquehanna County Interfaith, a nonprofit that provides critical services for disadvantaged men and women. SWN contributed $5,000 to the organization’s annual Christmas outreach program, and employees devoted 58 hours of volunteer support to pack and deliver food and toys for families. The “season of giving” extends all throughout the year for SWN, and it continues this week with a charitable contribution to the Wyalusing Public Library in Bradford County. We’ve learned the company is giving 10 computer monitors to the library, which it has supported for several years with an annual donation of $2,500. We here at NaturalGasNow hear another donation of computer monitors will be made to the Blossburg Library in Tioga County soon. These aren’t the kinds of stories that big media types focus on when they drop in to “report” on how the industry is impacting rural areas. But, they’re the ones that touch the lives of regular folks living all across Pennsylvania. 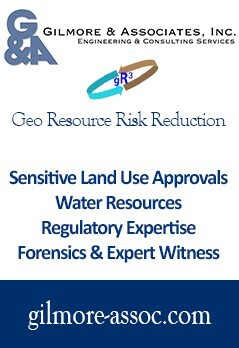 How about making “local clean water support” and support “local clean-up contaminated water” from gas drilling . That’s what we need in my fracked county..
Oh, really? If so, the plot thickens!!! You need to list locations and verify exact contaminants and amounts of same, you might want to have them come from a real lab and not a riverkeepers garage.